Back in April, Microsoft announced the addition of two new languages: Italian and Mandarin (Chinese) that will be available to its Skype Translator app, and now the real-time translator has expanded its support with two more: French and German. With them, the app supports a total of six spoken languages such as: English, Spanish, Italian, Chinese, French and German, along with 50 instant messaging languages. Skype Translator’s main goal is to improve communication between people who speak different languages and bring the world closer together by offering a real-time translation experience. This leads to a better human interaction and a more interactive way to have conversations with someone from a different country. However, Microsoft is also paying attention to people suffering from deafness and it all started with Microsoft researcher, Ted Hart, also deaf, who tested the app for the first time while having a conversation with his wife.The use of Skype Translator has been a life-changing experience for the researcher and it can also have a great impact on the lives of million of other people suffering from this disability. 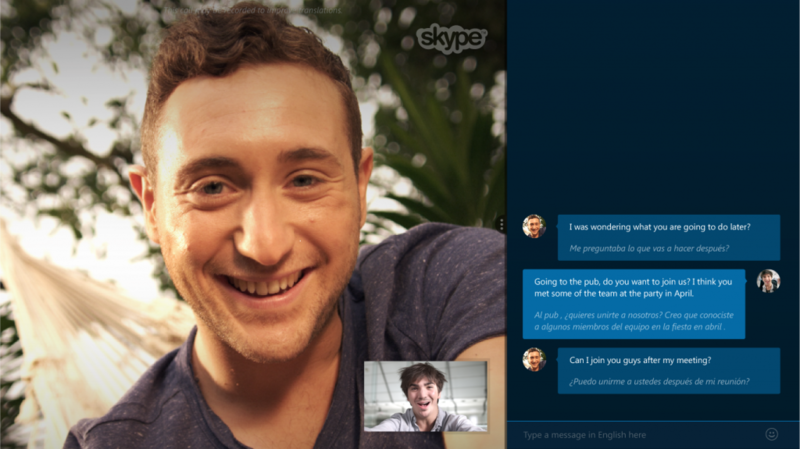 Find out more information on Skype blog.